It’s almost like being married to the TRAIL! Sometimes it feels like you’re married to the trail…..just sayin….for better, for worse, for rich (feeling good), for poor (beat up). With that in mind, this post will take an old wedding rhyme and make it appropriate for the trail!! Something Old Let’s start with my knees & ankles…..they just take a daily beating. Mtn. Goat has issues from time to time with feet….just OLD. We’re in Massachusetts, so every state south has become OLD! 10 states down, 10 states OLD! Mtn. Goat will be thru Mass. Saturday and I’ll be thru on Sunday! 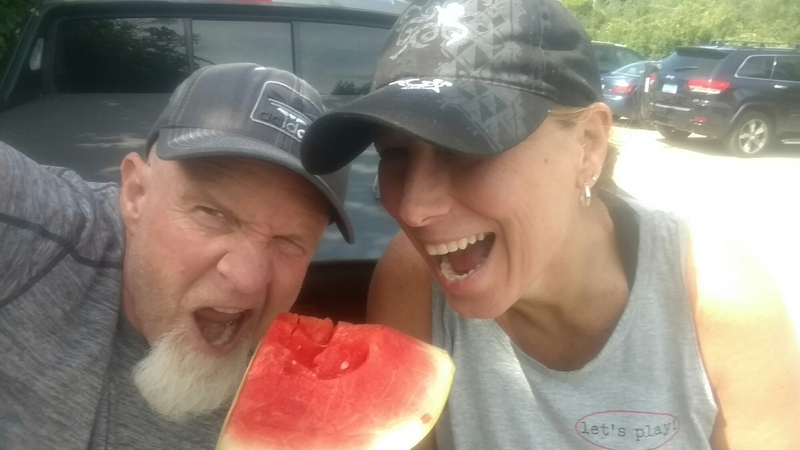 FOOD…..on the trail gets a bit old…only so many things make sense. We may NEVER eat Ramen again, EVER?! Spam is still a staple…..old, but still working. Something New…New York and New Jersey may be old hat, but just a couple points of interest about the News as well as a final thought on Pennsylvania. In my last post, Rocksylvania had not yet earned it’s nickname. 50 of its last 60 miles (NOBO) are where the name was earned! Fair? Not really, but tough nonetheless. 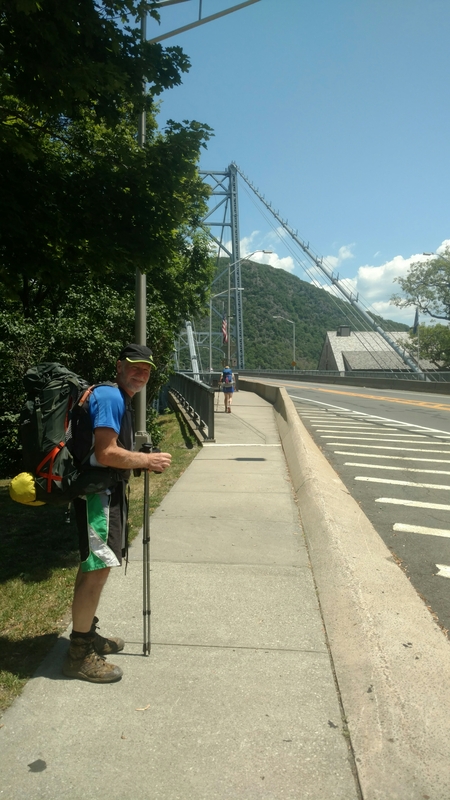 New Jersey was a pleasant surprise and more than one thru-hiker claimed it as their favorite state! New York was straight ups and downs, especially early..direct…to the point, much like it’s inhabitants. Massachusetts is still new….and by the time some of you read this, it might have become old…..both Connecticut (gateway to New England) and Massachusetts started to prepare us for the next (and last) 3 states! Both Mtn. Goat & Chopper got new backpacks that are the RIGHT size…thanks wives and thanks REI for the great return policy! 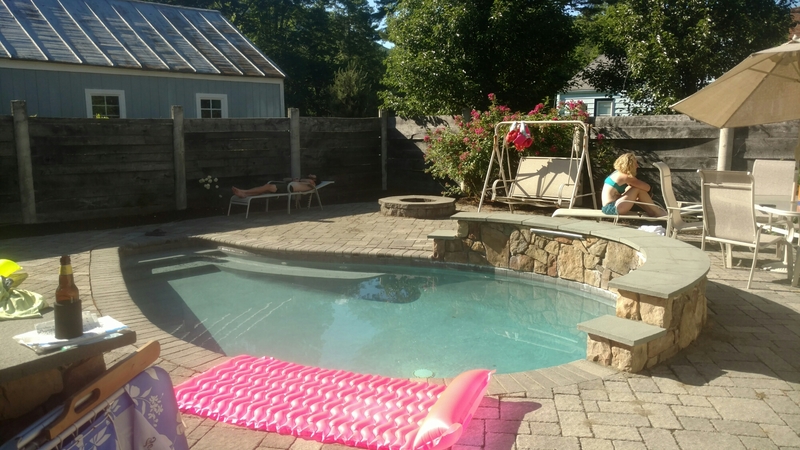 Something Borrowed….the house we rented off of AirBnB in Kent, Connecticut for 3 days during a zero with my wonderful wife. The time with my wife spent while SLACKPACKING 4 additional days. She hiked with me all 4 days and put in about 35 miles ( I did about 70). It was AWESOME! Something Blue…Lets start with a separation, right after an amicable divorce (see the last post)….While I took the zero with wife, Mtn. Goat hiked ahead and will be a day ahead of me until we are reunited on July 17th when I get my LAST pair of zero’s before the final stretch. 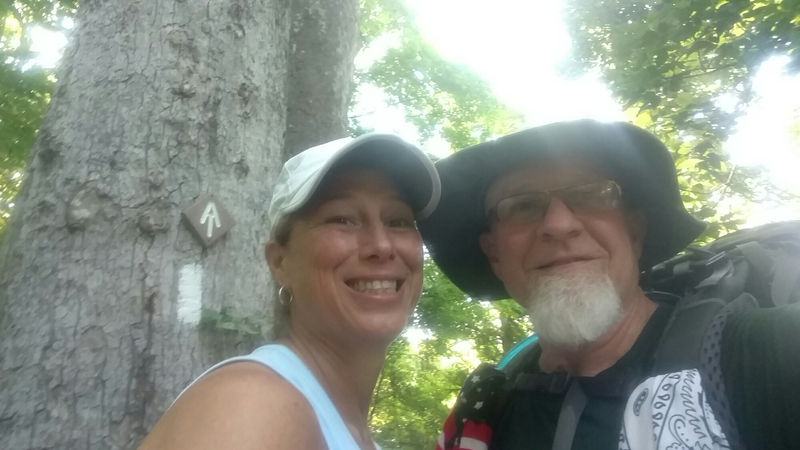 By hiking ahead, he gains a 3rd zero with his wife! : Hiking alone after hiking with a “trail family” can definitely make you feel blue if you allow it! Former hiking buddies Sway and Snake are both injured and off the trail. Snake had made it to Massachusetts and appears to have lost his desire to continue after issues with dehydration and electrolytes. Sway injured an ankle and is home in Virginia figuring her next move once she receivers enough to continue. Today’s Hike is History, Tomorrow’s Hike’s a Mystery. Right now is a Gift. That’s why it’s called the Present! I'm a former teacher and administratort and recent graduate from work . I'm also a husband, father of two and friend to many. I live in Suffolk, Virginia and I had a rather strange experience about 5 years ago that I can only describe as an "epiphany" of sorts. 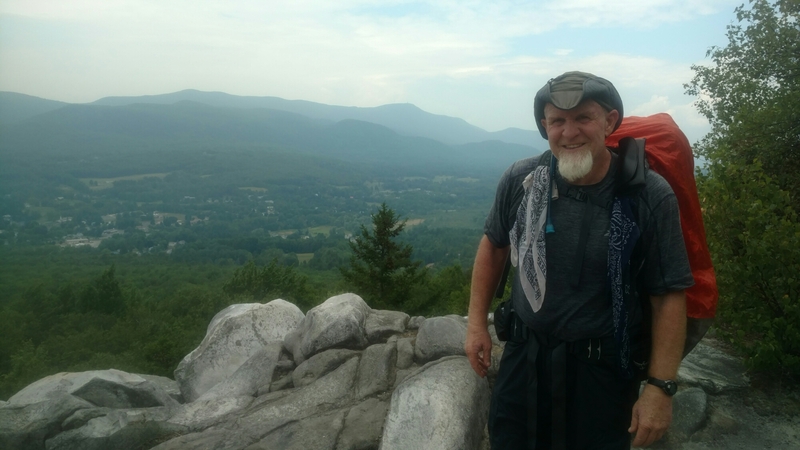 It was about doing a thru-hike on the AT. Short story made long, the plan is to flip flop starting March 13, 2016. Stay tuned.......and follow my brother, "Shrek" , newcomer to our adventure, niece "Scout"and I (Chopper/Bandanaman) as we start our great adventure! Thanks for the support and thanks for following the Blog? I can DEFINITELY tell you that we are BOTH pretty cooked and ready for the finish!. I have 577.8 miles left and Brother Mtn. Goat has 563.4. When we remind ourselves where we are and where we’ve been, it really is a great feeling…..but we’ve got 6-7 weeks to go and are really looking forward to a week from today for the Goat and a week from tomorrow for me and the final wives visit before the final push! Thank YOU for being a part of our NOBO trail family! Good luck as you press ahead and have fun in NY? You’ve been a HUGE part of our SOBO & NOBO trail family! When you got injured, we all felt your pain and we’re really sorry to have lost you. We also look forward to the day you get back on the trail and will be celebrating your return? Duke – not heard anything from you in a while – updates?? ?